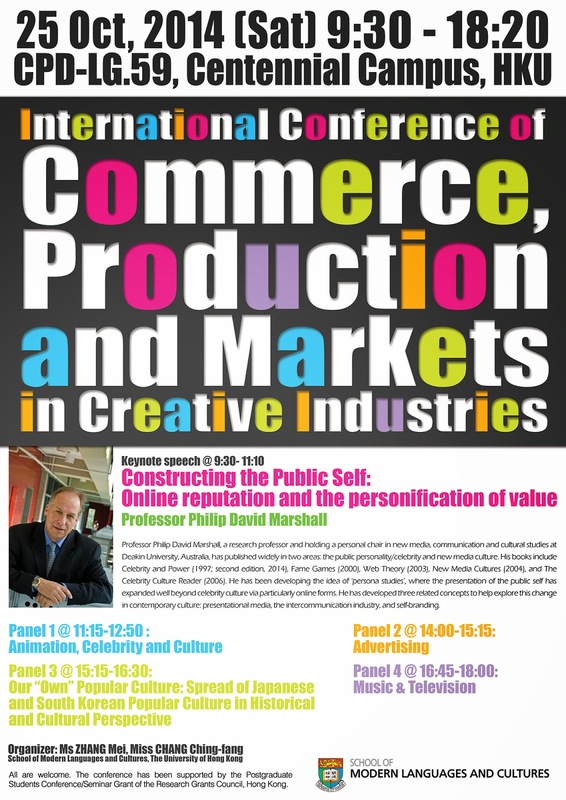 P. David Marshall: And more presentations from late in 2014: Wuhan, Hong Kong, Paris... oh my! 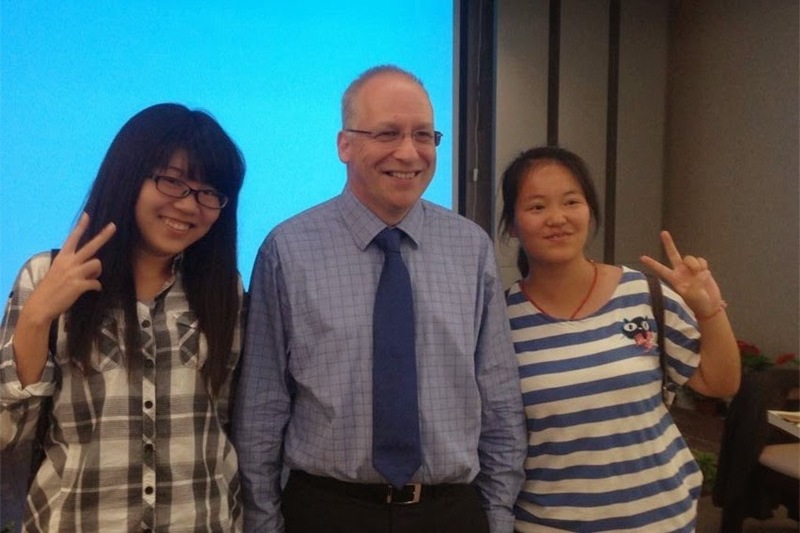 And more presentations from late in 2014: Wuhan, Hong Kong, Paris... oh my! There is no question. 2014 was a remarkable year. It was absolutely filled with travel. And through that travel, I was privileged to be able to give a series of talks, lectures and keynote addresses. In previous posts, I have talked about and provided some details about my talks at Deakin, Vancouver, and London; but I didn't quite get to some of the most intriguing series of talks that I gave in China, Hong Kong and Paris towards the end of the year. Each of these trips, I am deeply indebted to my hosts. I met some very interesting students and researchers and was permitted to explore the universities and cities on each of these adventures. In fact, my hosts were also responsible for being my guides on these adventures. There is no question that the series of talks allowed me to explore further dimensions around my work on persona and Persona Studies. It also gave me some of the best opportunities to see if these ideas make sense in these quite different parts of the world. I am going to try and summarize these trips and the talks that I gave in October and November last year in the rest of this post. I have to preface these remarks that I had never really been to China before this trip. I had had stopovers in Shanghai, but I think I am in good company that other than the painful waits at airports and perhaps customs, these do not count as countries that I have visited. In October, I was invited by Central China Normal University to be one of their four Keynote Speakers for a major international conference on Cultural and Technological Innovation and Development of the Cultural Industries. The hosts within the university were from the National Research Centre for the Cultural Industries. It was a provocative subject and a challenge for me to think of how my research on persona shapes the cultural industries. My Keynote presentation I think was well-received and for some at least was able to identify the links between individual construction, both industrial and otherwise, and collective constructions. 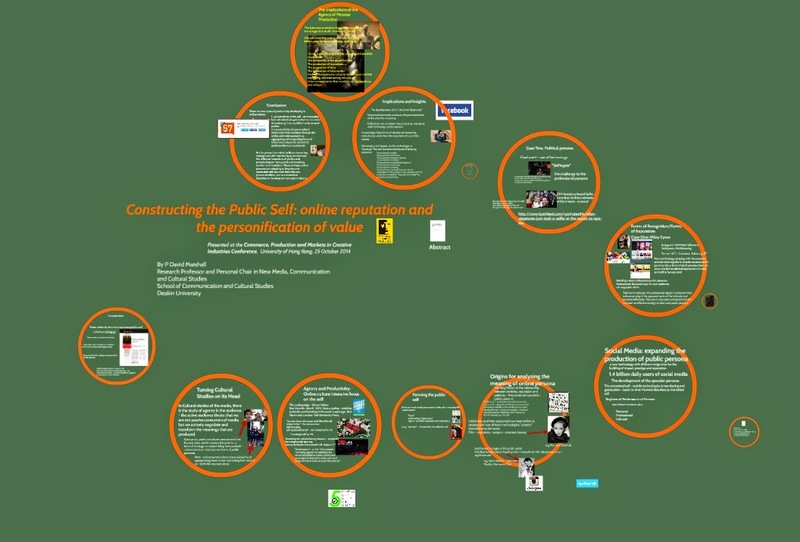 Here is its Prezi - with the Anonymous-Guy Fawkes mask privileged. The link to the Prezi is also just below. The very next day, I presented to very full room (75 at least) of researchers and graduate students connected to the Centre. 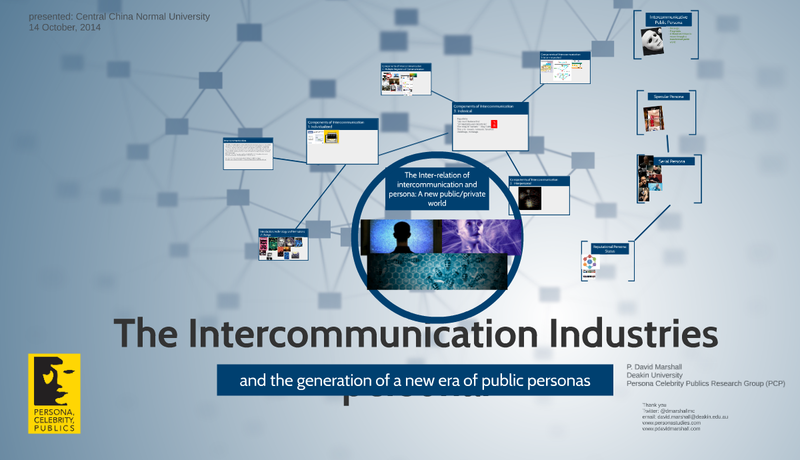 The talk served to explain one of my key terms - Intercommunication - more fully and link it to industrial patterns as well as the concept of the public persona. 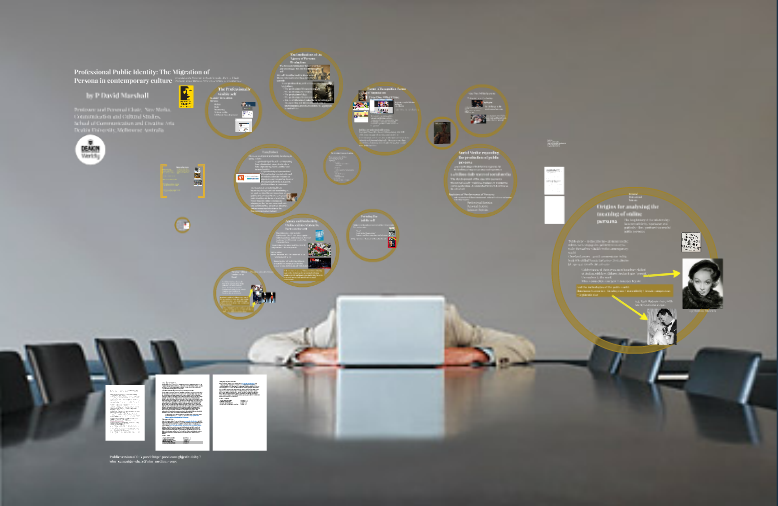 The Prezi, as displayed below, generated some very interesting discussions with the students and researchers in the Centre. It also is a useful document for me and saves me sometimes re-explaining some of my key concepts. I hope it gets many views and of course, perhaps people will go on to read my academic articles once their interest is piqued by these presentations. The following day, I was invited to give a public lecture to the School of Journalism and Communication. Again, it was a massive crowd and by my basic reckoning was over 150 people composed of faculty, graduate students and undergraduates. I had a wonderful dinner with three of the students and the Associate Professor Junfeng Chen. My host for the evening was the DeputyDean of the School, Peng Tao who provided a delightful introduction and had his students simultaneously translate my talk and their questions. My focus in this talk was more on celebrity and my presentation made it clear that there is some major comparative research to be done how celebrity and public persona operates in China and how that is both related to and distinctively different from the way it has operated in places such as Australia, North america and Europe. Below is the link to the Prezi and the provocative talk. I think my background image captured the constant reconstruction of public identity that we engage with and that our culture has produced over the last two centuries. And the entire School of Journalism and Communication: you were all wonderful hosts. From the International Office, I would also like to thank the generosity of ShaoRen (Bunny) who kept it all together throughout my stay. 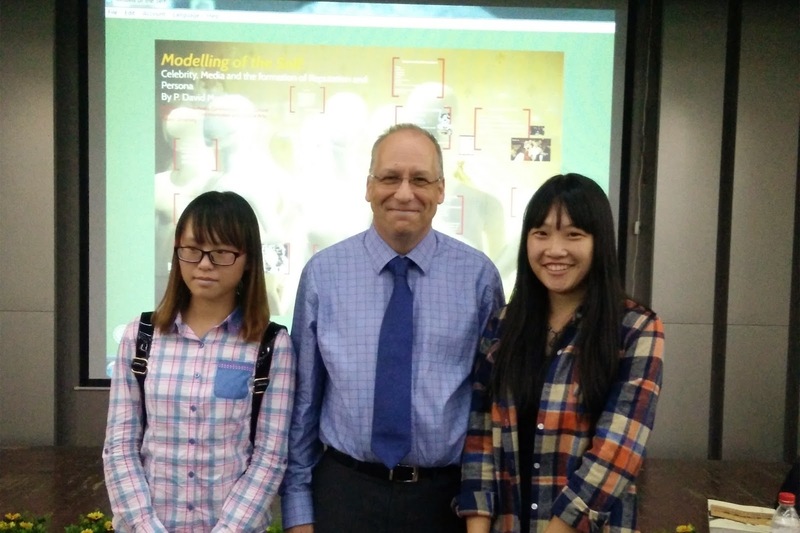 Two doctoral students, Mei Zhang and Ching-fang Chang, were instrumental in arranging my visit and my talks at the University of Hong Kong in late October 2014. 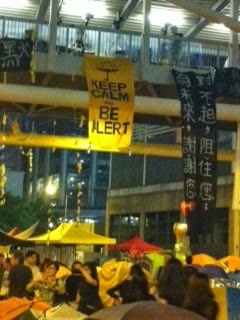 The conference had been delayed several times due to the street protests and Yellow Umbrella Movement in Hong Kong. 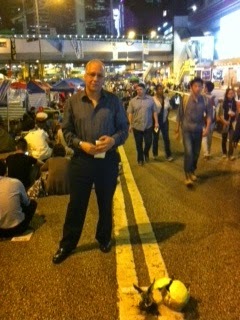 I had the fortune to visit the Admiralty site of the protest and was quite amazed at the intensity of the social media as well as the incredible activities and support on the street. The actual conference brought together a number of scholars and researchers into the domain of the study of personalities and institutions and how value - economic and other forms of value - were created and constructed around these entities. There is no question that based on my two hosts and other research I observed there is an incredible amount of interesting ethnographic research emerging in studying the position of pop idols, popular museums and what my host Dixon Wong would call the global creative industries side of consumer anthropological investigations. I began the conference with the following keynote. As you can see from the images of my presentation, I was quite animated and continued my hand gesticulations with force. Below is the link to the Prezi presentation. 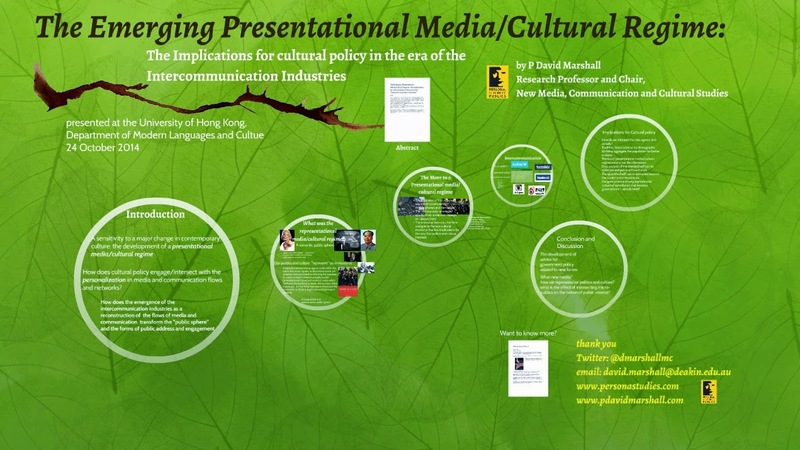 Professor Dixon Wong also invited me to give a guest lecture the day before the conference to his class that would give them some idea of the connection to my writing on celebrity and the contemporary moment of the presentational cultural regime. The students were engaged with the material and worked to position the discussion both in a global context and in a comparative local structure. My Prezi for that talk is below with, of course, a link if you want to peruse that content more closely. With the emergence of a new Global Creative Industries program launching at the University of Hong Kong, there is no question I will be visiting and engaging with the exciting research emerging in this hotbed of activity. The link between consumer anthropological research and the directions in persona studies presents further forms of international collaboration which need fostering. Associate Professor Jamil Dakhlia (thank you!) worked very hard at ensuring that I also had the privilege of giving two very significant talks in Paris in November 2014. The first of these, I was part of the Media Industries Distinguished Speakers Series connected to the L’Ecole Doctorale Arts & Médias (ED 267) de l’Université Sorbonne Nouvelle - Paris 3. My host was Jamil of course, but also Raphaëlle Moine, Professor of Cinema and the Director of the doctoral program in Arts and media. 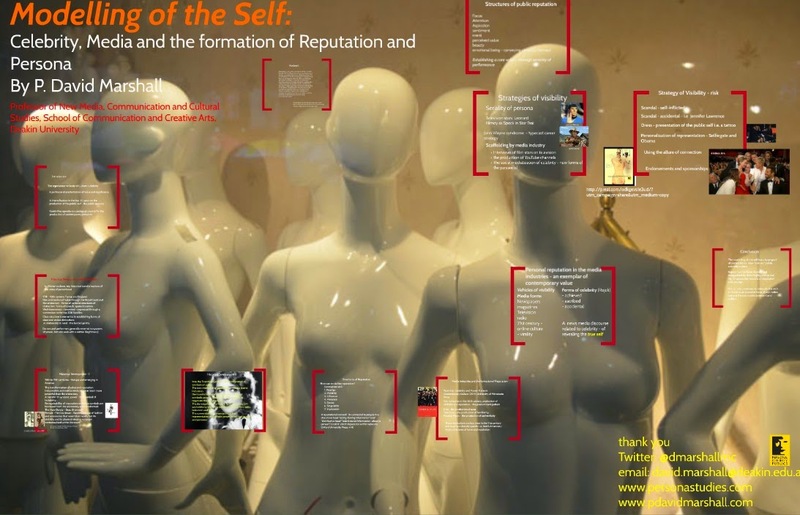 This presentation and the one that followed at the CNRS identify my provisional and building work on professional identity and very particularly the way that mediatized identity intersects with online persona. I also had the opportunity to meet many researchers during my week in Paris, including Nathalie Heinich who has written some of the most important works that relate to celebrity culture and art. Her term - the process of "singularization" is particularly useful to understand the concentrated efforts of institutions and individuals have undertaken to produce public identities. De la visibilite (2012)and her original and translated The Glory of Van Gogh (1997) are worth exploring. Mythologie de la peopolisation (2010) both will inform you on the relationship of celebrity and journalism as well as an insight into the French use of the English world "people" and its derogation of value around the popular. Below are the presentations and the prezi link to these two talks in Paris. 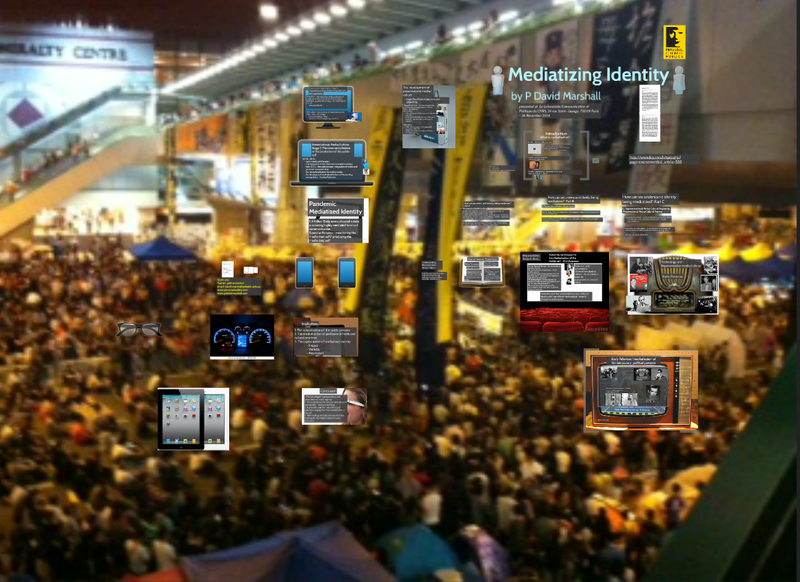 The background image of the second talk you may notice is a crowd scene I took of the Hong Kong protests where the mediatization of the self was in full force. New events and new publications are appearing already in 2015. My next post will deal with some of my recent articles and book chapters. As well, the first issue of the very important Persona Studies Journal will be out in late March. More about this event on this site and on www.personastudies.com. Having an impeccable resume has always been fundamental in finding a remarkable occupation. Today's tight occupation business area makes this altogether more fundamental, best paper writing services extraordinarily enhances the potential outcomes of looking for some kind of essay to support you.